Although Miami-based Platinum Luxury Auctions has been busy expanding its operations within and beyond the United States, the luxury real estate auction house has just announced a sale in its proverbial backyard. 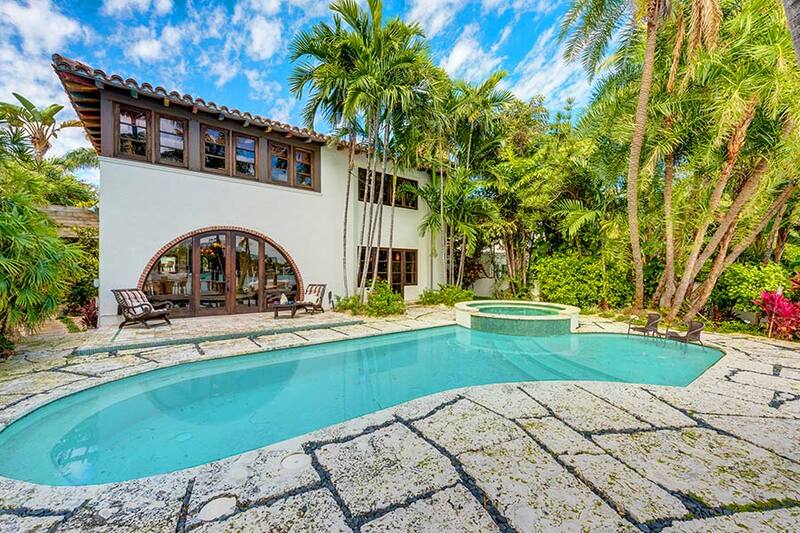 On Friday, May 6th, the firm hosted a live auction for the sale of a waterfront estate located on Di Lido Island, one of Miami Beach’s desirable Venetian Islands. The auction reserve price was $3.9 million, meaning bidders had to meet or exceed that amount in order for the property to be sold. Platinum conducted the sale in cooperation with listing brokerage EWM Realty International. Nelson Gonzalez represented EWM as the listing agent in the transaction. While the auction price will not be reported until closing, Platinum remarked that the figure exceeds the property’s closest comparable sale: that of the property located immediately next door, which offers the same water frontage and lot size. That neighboring sale closed nearly one year ago for $4.1 million. “Our analysts see this sale as quite significant from a broader-market perspective. To achieve a measurable premium over this property’s most immediate comparable sale – during a time when the Miami Beach marketplace is inundated with listings – is no small feat,” stated David Enriquez, Platinum’s vice president of operations. To be sure, many of Miami’s top agents are reporting an ever-swelling inventory of listings, while experts predict the market will begin to cool following its stratospheric rise from the ashes of the Great Recession. Currently, the South Florida Multiple Listing Service shows there are 958 single-family homes for sale in Miami-Dade County priced at or above $2 million, with 299 of those homes being priced at $5 million or more. Fifty-three of those single-family homes are in the Venetian Islands alone. There are an additional 1,150 condominiums currently for sale in Miami-Dade at or above a price of $2 million, with 308 of those listings priced at or above $5 million. In the case of condominiums, this figure may be artificially low, as hundreds of additional condominium units are not necessarily listed publicly. Their developers often elect to first work through private databases to sell a given portion of inventory before publicizing the remaining listings on the broader market. For additional information on this sale, you can view the original listing here or parties may contact Platinum Luxury Auctions at 800.262.5132.